Portuguese Alambic with the Water Seal. All our products are made in Portugal by hand forging. 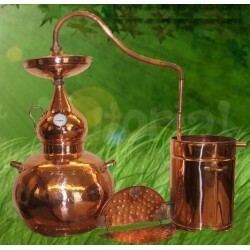 With copper 99%, the thickness of copper (1.3 mm), which guarantees obtaining a quality drink. 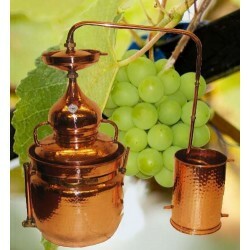 Copper has a very good thermal conductivity, very quickly heats up and evenly evenly. 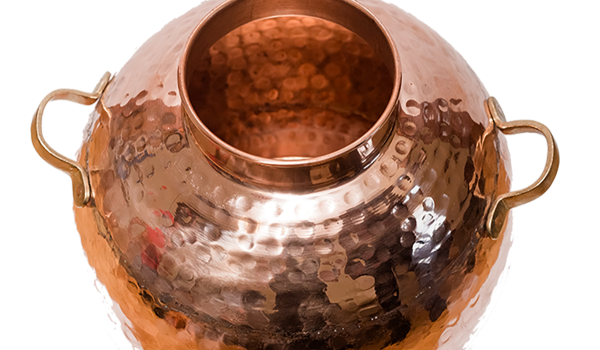 Copper collects sulfur oxide, which gives a non-pleasant smell to the product at the outlet. 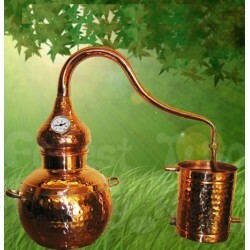 As a result, Distillate will retain a pleasant aroma and taste of the raw material at the outlet. 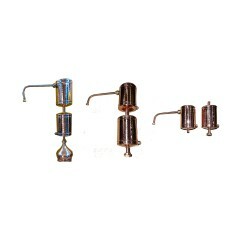 All connections are made on threaded connections, which simplifies work with the product and eliminates steam leakage. 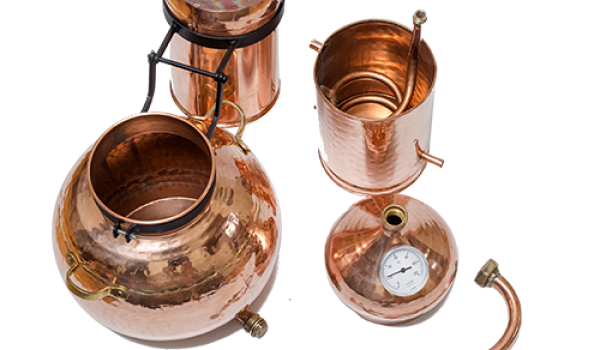 All elements and nodes of the classic Alambic are reliably connected, and exclude any extraordinary situations in the form of steam ejection and fluid leakage. The cooler is equipped with three fittings: for supply, drainage and finished product. 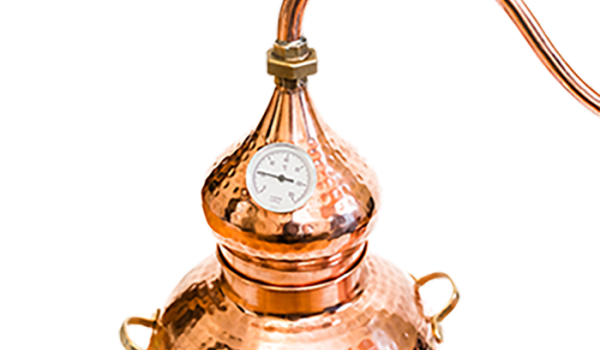 The thermometer will determine the temperature of the vapors and help control the heating during distillation. The products are very easy to use and do not require special skills. Using our products you get a product of very high quality. All connections are made by professional welding, which ensures reliable sealing. This feature of this model - the boiler is equipped with a hydraulic seal. 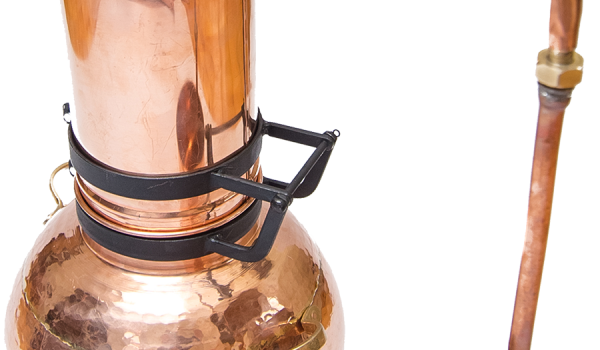 The hydraulic seal ensures complete tightness of the tank, which is a prerequisite for distillation. Alambic with a hydraulic seal does not need to be sealed with a tape or dough. It is enough to pour water into the trough. It plays the role of a water seal, thereby sealing the connection of the distillation cube with a helmet. In the kit comes a rectifying lens, which is installed between the helmet and the steam pipe. 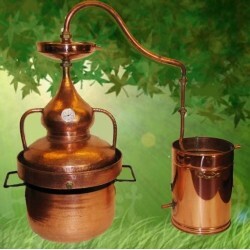 It is designed to increase the degree of purification and strength of the final product. 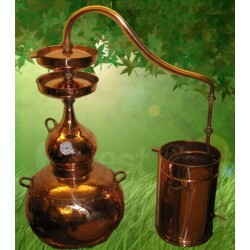 The sieve will allow the barge to be distilled more densely and prevents from sticking the product. The main feature is a large area of ​​evaporation that gives a greater productivity and speed of getting the product. The product is very convenient in operation, and the presence of the lens gives a very good product at the output without fusel oils. If desired, you can get the product output 80 - 90 degrees of strength. The kit includes a rectification lens and a sieve to the bottom of the tank. 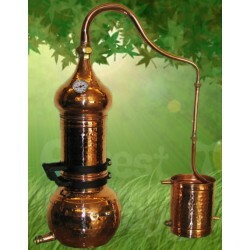 Alambic Still - Water Sealing System There are 11 products. 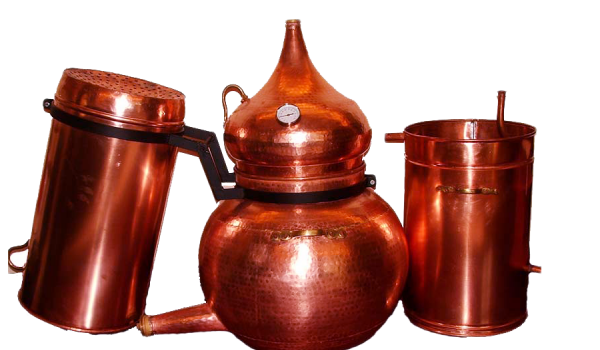 The unique properties of copper provide an excellent quality product - it absorbs sulfur compounds and fatty acids, which give an unpleasant aftertaste to the drink.